Are you an employee of The Sibulele Sibaca Foundation? 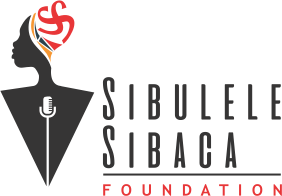 The Sibulele Sibaca Foundation was formed by Ms Sibulele Sibaca, a young South African born and raised in the Cape townships. Orphaned by HIV/AIDS at a young age; Sibu has endured many tragedies without succumbing to them. It was therefore natural for Sibu to create a foundation that will be committed to the emancipation of the impoverished and the empowerment of the previously disadvantaged primarily for those who like Sibu are also orphaned by HIV and Aids. At our foundation, we aim to positively influence and create long term impact in the lives of adolescent girls and young women. This is one of the key areas for Global Citizen and being a partner to them has given me a bigger voice, enabled me to open doors and sit at decision making tables that discuss the plight of adolescent girls and young women and what they solutions should be.